The ‘blue’ and ‘red’ designated trails of Beinn Ghuilean, a low forested peak that overlooks Crosshill Loch which supplies the Springbank distillery with water (potential Scotch), isn’t much, but it’s worth the drive if followed by a local dram. 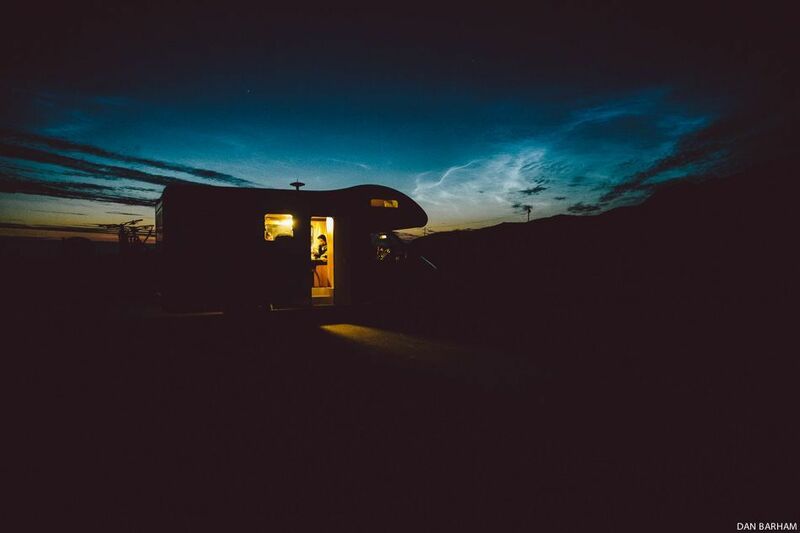 In June of this year, Dan Barham, Callum Jelley, Richard Cunynghame and I visited Scotland as part of a Bike assignment. 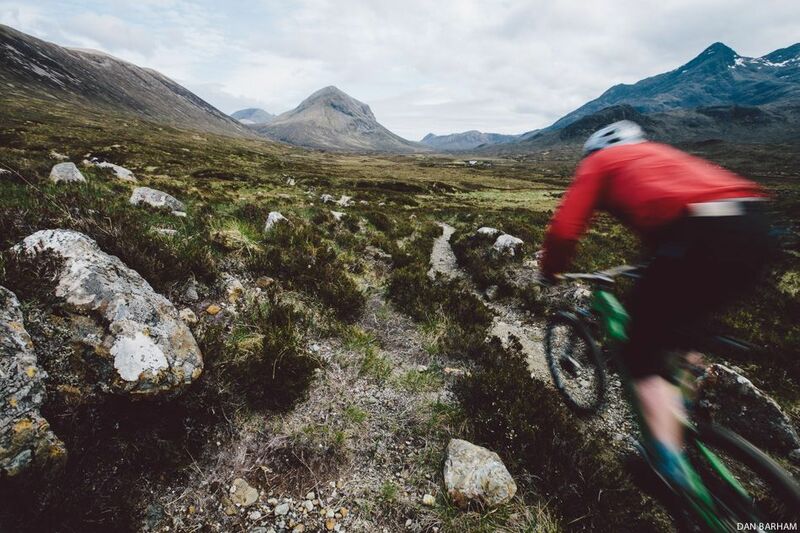 We wanted to explore Scotland’s wildly varied singletrack experience (check out the upcoming December 2013 issue for the full story). But we didn’t just go for the singletrack, we went to Scotland hoping to understand something more about the land and the people, and we’d use single malt whisky as our looking glass. There’s something you must understand: Scotch is woven into everything in Scotland. From an economic standpoint this is obvious. Whisky distilling is the great survivor of the traditional Scottish industries, as evidenced by the 1.19 billion bottles of Scotch whisky that were sold around the world in 2012 at a staggering value of £4.27 billion. Familiar names? With every turn you make more of the history and heritage of Scotch unveils itself. To put a finer point on it, Scotch constitutes roughly a quarter of Scotland’s exports. 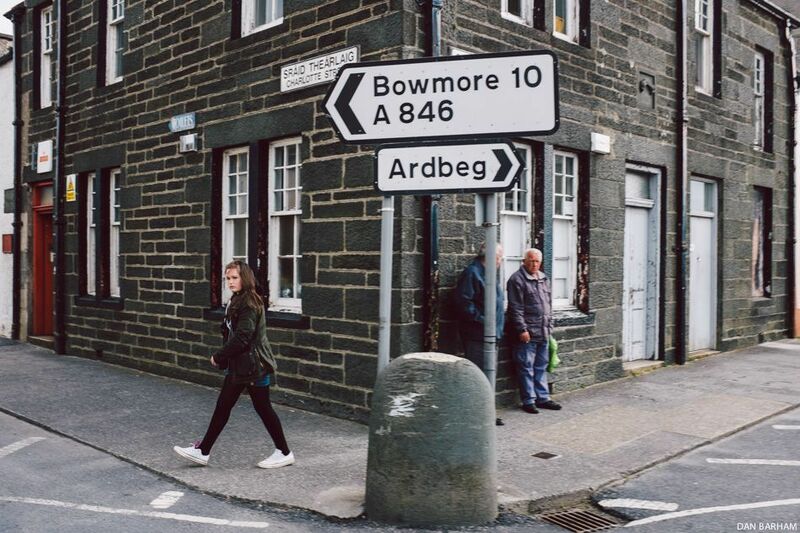 The drink, however, isn’t just a means of commerce for the people of Scotland; it’s a connection with their land, ancestors and national identity. Poets, musicians, painters and writers have long had a relationship with the single malt, not just as a liquid muse to fuel the artistic process, but as a narrative theme alone. You can’t visit Scotland and fail to acknowledge the achievements and depth of Scotch. We had no intention of making that mistake. The Road Snail parked up on a white sand beach on the Mull of Kintyre on the first night of the trip. Don’t be fooled, we didn’t just go to Scotland to hit the bottle and sign it off as work, but we wanted this story to focus in on something beyond the experience of riding. We all ride and know what that feels like, but for a lot of us mountain biking is more than just pedaling, sweating, freewheeling, getting dirty or scraping our knees. Riding is a way to explore our surroundings and ourselves. Mountain biking is more than the mere act of riding, it is a reason to seek, create, understand, observe and participate with the world. To that end, we intended to lay tracks across Scotland in the hopes of understanding how the Scottish people and the land around them have cultivated a thoroughly unique identity. Scotch, the water of life and the wine of its country, provides a fascinating insight into Scotland. To know where in Scotland a whisky was produced is to have a very general idea of its likely character. The five single malt distilling regions – Highlands, Lowlands, Campbeltown, Islay and Speyside – all produce unique Scotches that are as different as the areas from where they hail. The terroir (the soil, topography, weather, water, air, vegetation and climate) and local traditions forge the massive differences between single malts. The peatiness, saltiness, sweetness, fruitiness and smokiness of a single malt is shaped by its place of birth. The Black Cuillins rise up like a black wave. Forged by eruptive forces, carved by glacier, given shape by erosion and cracked by the ice and frost; dangerous, foreboding, threatening. Talisker, it turns out, tastes dramatic, volcanic, explosive and peppery, reflecting the wild, looming terroir of the Black Cuillin range. Despite being a relatively small country, Scotland is stacked full of trails and they vary significantly. 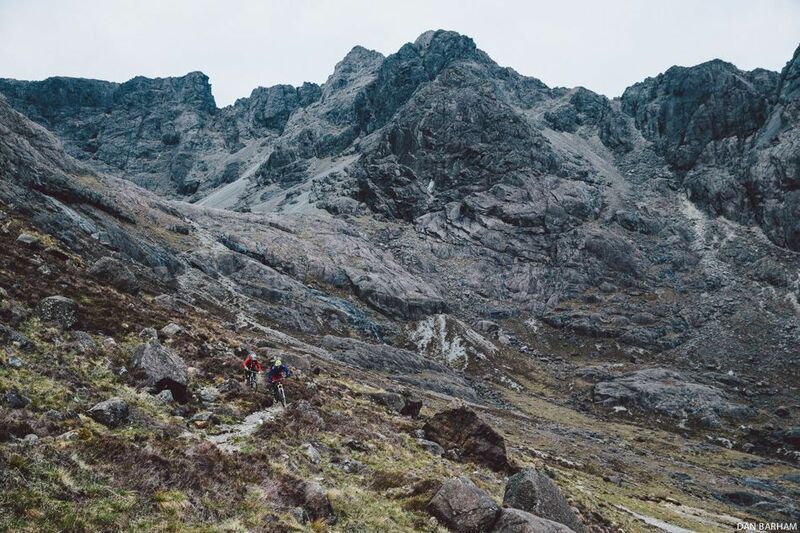 Here’s what we wanted to know: Are the singletrack experiences in each corner of Scotland as distinctive and representative of the local conditions as the Scotches distilled there? We had a hunch that the general flavor profile of single malts from each of the five regions might closely resemble the style of riding in each region. We experienced the groomed, manicured and accessible 7Stanes trail centers in the Lowlands, a riding experience that corresponded with the flavor of the Lowland Fairies – lightweight, smooth and sometimes floral whiskies that are approachable for newcomers or those that can’t tolerate the rugged, earthy flavor of Highland or Islay single malts. Islay single malts tend to be very bold, smoky, salty, peaty. Highland malts, although widely varied because of the large and diverse region itself, tend to be round, firm and dry with some peatiness and spicy, heathery flavors that reflect coastal influences. The land and the trails in the Highlands tend to be challenging, which is also how some single malts are described by those with less-experienced or less-practiced palates. The Speyside region has a very concentrated amount of distilleries – the densest of all regions. The same is true of that region’s trails. Scotland, in general, is overflowing with trails – our 10-day assault couldn’t even make a dent in the possibilities – but the Speyside region is home to an abundance of trails that left us scratching our heads as to where to start. Richard Cunynghame prefers his trails earthy and rugged. The smooth stuff doesn’t excite him. Glen Sligachan, Isle Of Skye. Beyond the regional differences, what we discovered was confirmation of a long held belief that it’s not the rider or the trail builder that makes a trail. Sure, they can manipulate, manage or manufacture a trail, but only within the boundaries of what the terrain will allow. The terroir, in other words, determines the character of the trail. The crushed gravel 7Stanes trails look like they could be pushed into any landscape, but they wouldn’t be simply because they can only exist near densely populated areas that can draw the crowds that attract the necessary funding for such intense construction. Likewise, the Highland trails are generations old, laid in place where they were needed and where nature allowed, then forever being changed by the elements. No two trails are alike because the trail surface, shape, surroundings and the starting and ending point marry to create something unique. 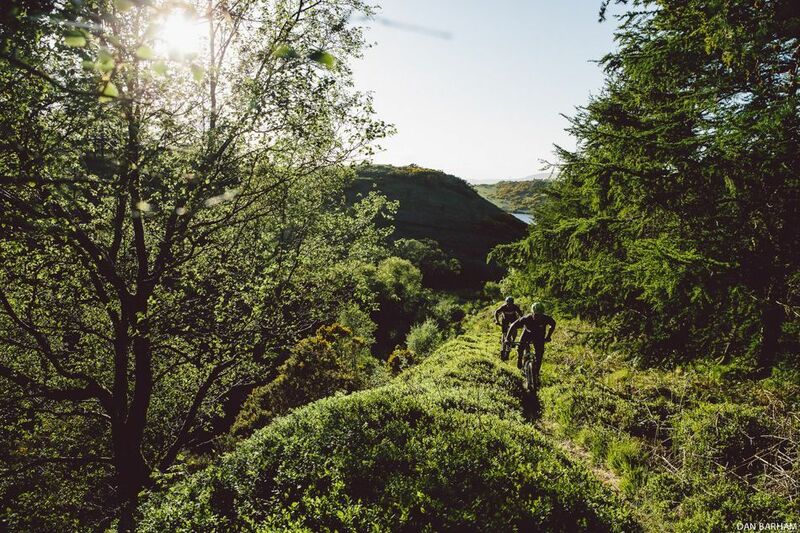 The 7Stanes is a network of seven mountain bike centres spanning the South of Scotland which offer year round, accessible, fun and flowy trails for all abilities. We went straight to the Scotland’s biggest and most popular trail centre, Glentress, in the Tweed Valley. 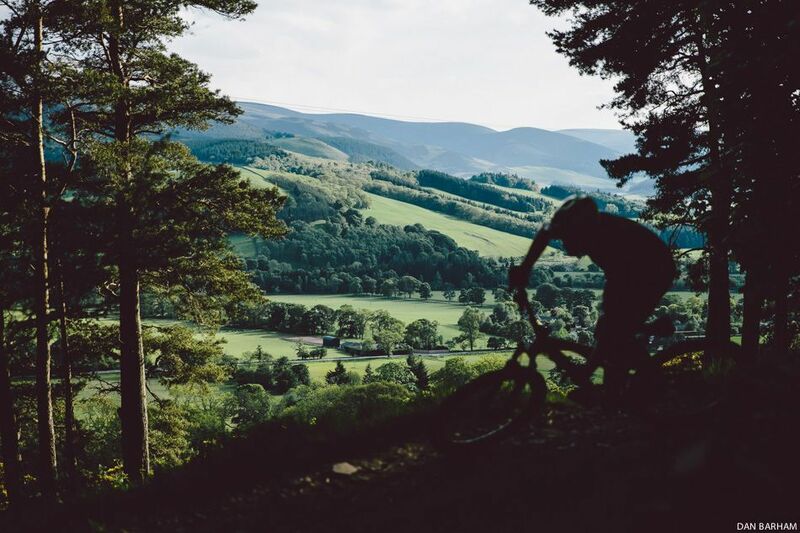 Glentress brings 400,000 visitors to the south of Scotland (70 percent of total trail center visits) who generate over £9million net additional spend per annum to the local economy. Our tastes are extremely personal. We all have different palates and flavors that suit our personalities. Some people will always be persuaded by the tasting notes printed on the side of a bottle (or the musings in a mountain bike magazine), but ultimately it’s all a personal journey; both the whisky wonk’s hunt for the definitive single malt and the mountain biker’s endless pursuit for the perfect stretch of singletrack. As Andy McKenna of Go-Where Scotland, the people who helped plan and organize the logistics of our trip says “What better way to learn [about Scotch], and soak up this ancient nectar, than turning your wheels in the mountains, on the rocks and soil, burns and river crossings that contribute so much to the flavor, than by enjoying a dram by the fire with new friends, or indulging in a tasting at your lodge at the end of a great day’s riding.” —- Seb Kemp, Dan Barham and Bike Magazine would like to thank Andy McKenna of Go-Where Scotland for his invaluable trail knowledge and guidance, Frazer Coupland of No Fuss events for his wrangling ability and Visit Scotland for their assistance.